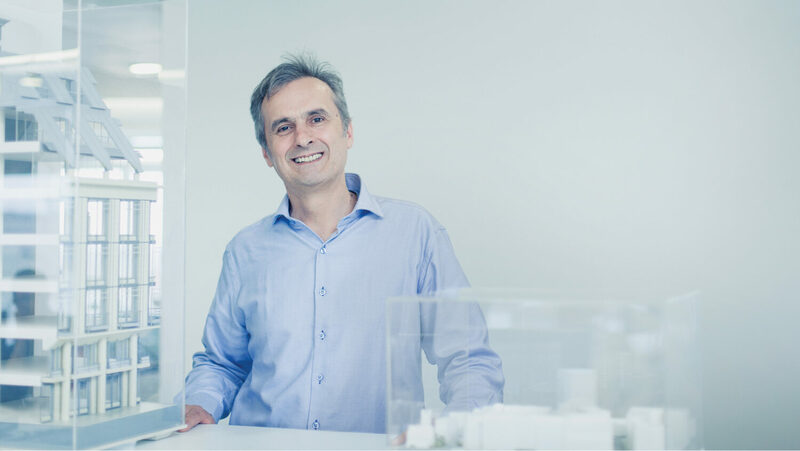 Armin is a Director with over 25 year experience in the design and delivery of large-scale workplace, retail and mixed-use developments in London and the South East. Armin studied at the University of Zagreb, School of Architecture in Croatia. After graduating in 1985, he worked in Design Studio Industrogradnja in Zagreb working on projects such as the Russian Academy of Science in Moscow. Armin joined EPR Architects in 1989. At EPR, Armin has led the design for a diverse portfolio of projects including Imagination Technologies campus in Kings Langley and data centre in Hemel Hampstead, and the refurbishment of 2 Waterhouse Square, Holborn. Earlier projects include ABN-AMRO UK headquarters in Bishopsgate, a new campus for Oracle in Blythe Valley Park, and the early phases of Green Park in Reading. Mixed use developments include Waddon Leisure Centre and the design for a Waitrose store in Coulsdon. Armin strives to drive a high quality design from early strategic conceptual to the finite detail design and materiality of the spaces and buildings for all uses and scale.